< Samhain - the Gaelic festival to mark the end of harvest season and the start of preparations for Winter. Hallowe'en (or in Wales, Nos Calan Gaeaf) - the time for witches, ghosties and ghoulies to walk the earth. Whatever one chooses to call it, it sounds far more interesting than spending time in the office. Sharing a birthday with (among others) Henry Winkler, Mario Testino, Juliet Stevenson, the lovely Ruth Gordon, the not-so-lovely Michael Winner, Richard Brinsley Sheridan, Grace Slick, King George II, Harry Hamlin, and - ahem! - Charles Atlas, it's our friend John-John's birthday today! 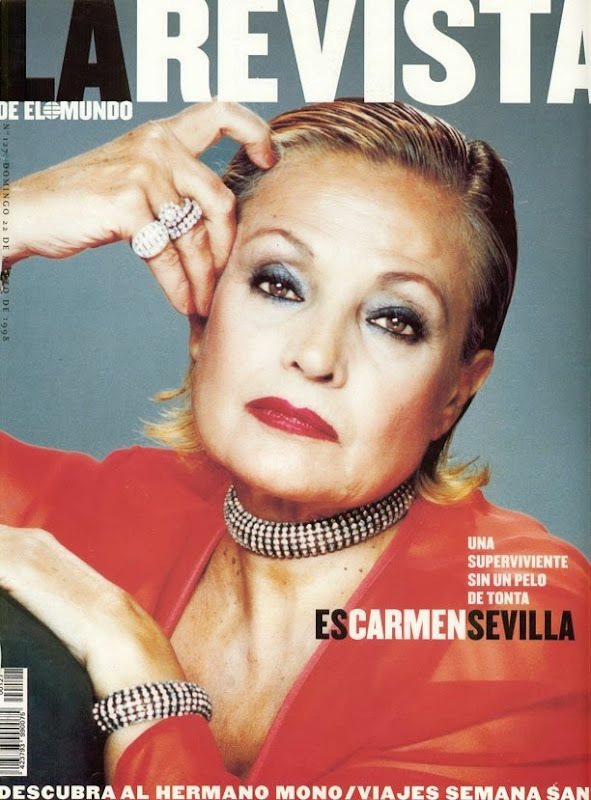 We at Dolores Delargo Towers always love discovering a new, and especially camp, wannabee diva from foreign climes! And here's another one from that eternal melting-pot of pop-kitsch (think Svetlana Loboda, Asiya Akhat, Kamaliya (also here) or indeed the marvellous Kazaky) - the Ukraine. She's blonde, she's brassy, she's completely and utterly bonkers - laydeez'n'gentlemen, here's Miss Olya Polyakova!! Which you must agree is classy. Well, maybe not - but Miss Polyakova knocks loads of the other attitude-laden pop trash that haunts our charts into a cocked hat, as far as I am concerned! Her country may have a terrible gay rights record (that Mr Elton John spoke out against) almost as bad as its neighbour Russia, but it seems the Ukraine is unbeatable for tackiness at the moment. Olya Polyakova on Wikipedia (translated badly into English by Google). 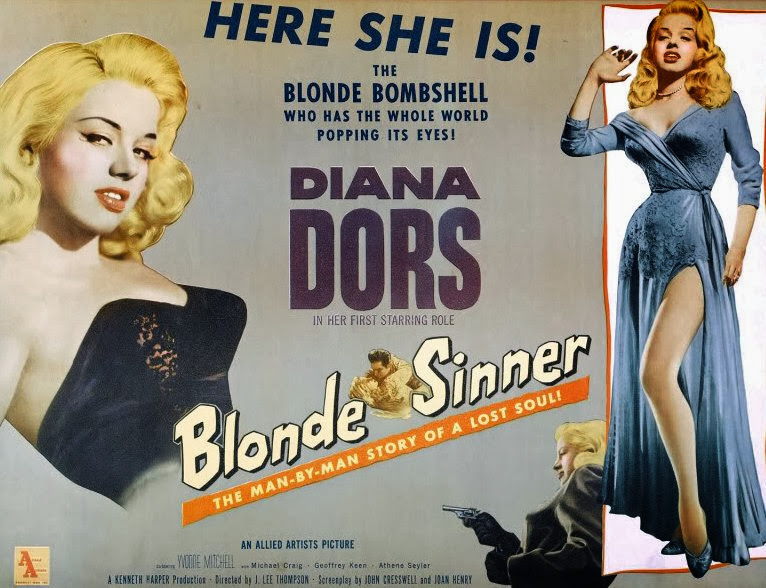 Recognising that it is still, after all, Tacky Music Monday, here is the lady singing a mightily camp number (complete with requisite sicherheit schwuler), in the midst of what appears to be some kind of supernatural ghost story. Wo ist der Mann, indeed? 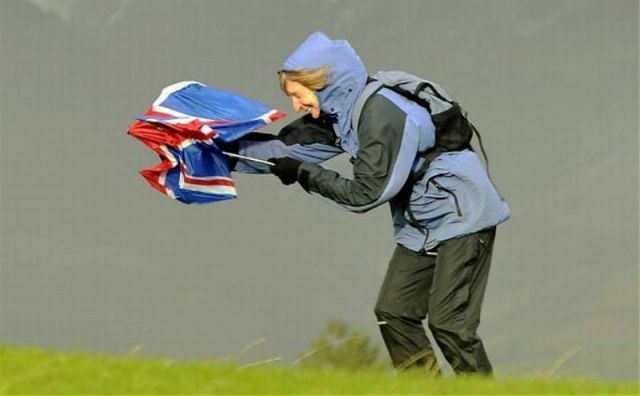 Britain has been hit (as predicted) by hurricane force winds and torrential rain. Our giant cosmos plants in the extensive gardens here at Dolores Delargo Towers are currently at a 45 degree angle, and a couple of the leafier pots were on their side this morning, but there's nothing surprising about that. Of course, the transport system across the South East of the UK is disrupted (that happens no matter what the weather - "wrong kind of snow", "too much sun", "leaves on the line"), and some people are without power. However it doesn't seem to have been Katrina so far. 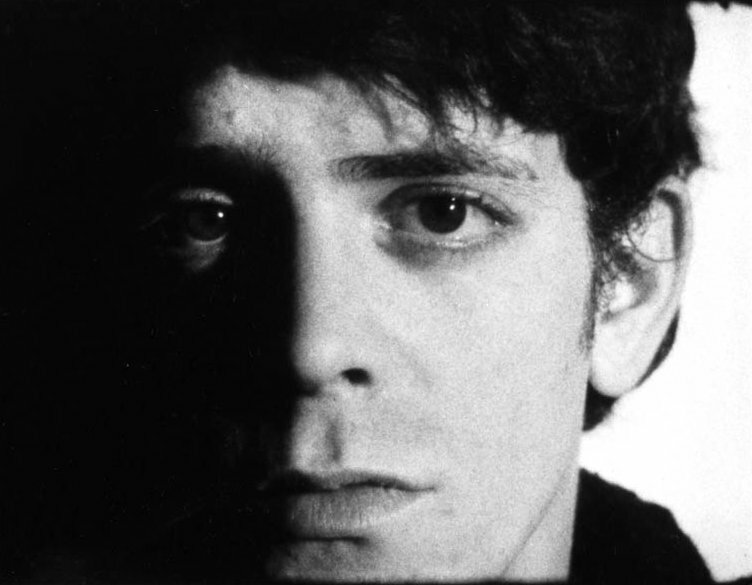 RIP Lou Reed (born Lewis Allan Reid, 2nd March 1942 – 27th October 2013). Surely one of the most influential musicians ever to have walked the planet. I am very sad. Read my tribute to the great man on the occasion of his 70th birthday last year. 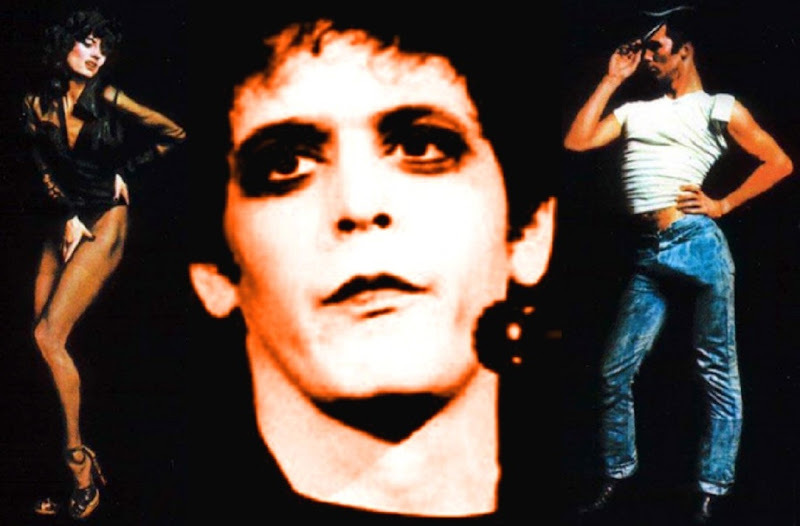 Lou Reed's seminal Transformer album track-by-track. Humber, Thames, Dover, Wight, Portland: Southwest 7 to severe gale 9, becoming cyclonic severe gale 9 to violent storm 11 for a time, perhaps hurricane force 12 later. Rough or very rough. Rain or squally showers. Miss Gulch expected. Miss Gulch Returns, a show by Fred Barton. 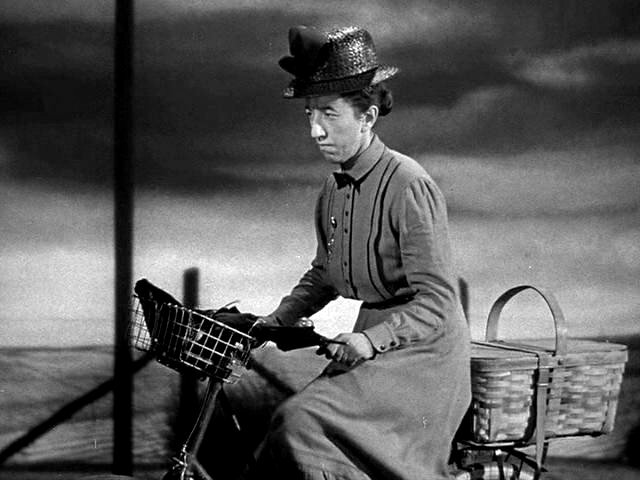 UK braced for the big storm. Dissolute habits, immoral life, bad company, masturbation for 30 years - all valid reasons for admission to West Virginia’s Hospital for the Insane in the late 1800s. 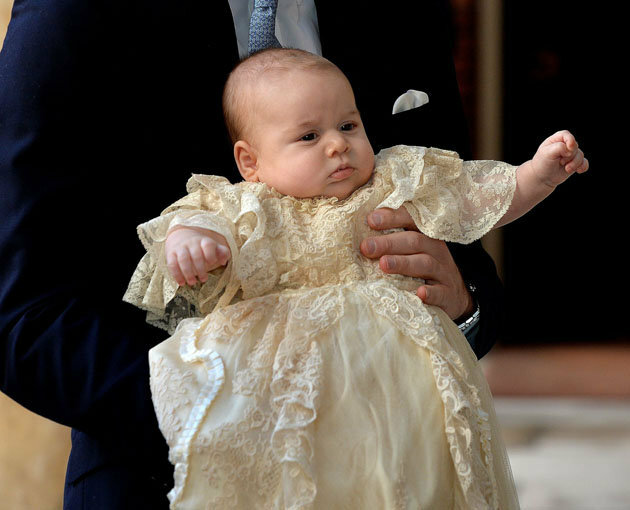 The heir to the throne thinks Christianity is a load of nonsense, it has emerged. The infant was left bitter and angry after being dressed up like a tiny old lady and baptised against his wishes. Desperately flailing his plump limbs, the future king said: "Get...off...me...I have no interest in your strange, outmoded belief system!" He continued: "At this age I just want to lie on my back smiling at brightly coloured plastic objects. I don’t think that’s unreasonable. "I should at least be at the stage of changing my own underwear before choosing a spiritual path. "However if it was up to me – which clearly it isn’t – I’d probably choose to worship the Egyptian gods, particularly Horus. "He’s a super-muscly guy with a bird’s head. That’s the sort of tangible superhero god a young boy can relate to. "I can also see myself getting into tarots, crystals and occultism. Who knows, maybe I could be the next Aleister Crowley? "Anyway I hope you all had a nice time today. I’m soaking wet now, and thoroughly pissed off." We finally decided to get around to seeing the multi-award-winning musical Top Hat last night, before it closes this weekend. We were most definitely not disappointed! Based (of course) on the classic Fred Astaire and Ginger Rogers movie from 1935 (and everyone should know how much we adore them! 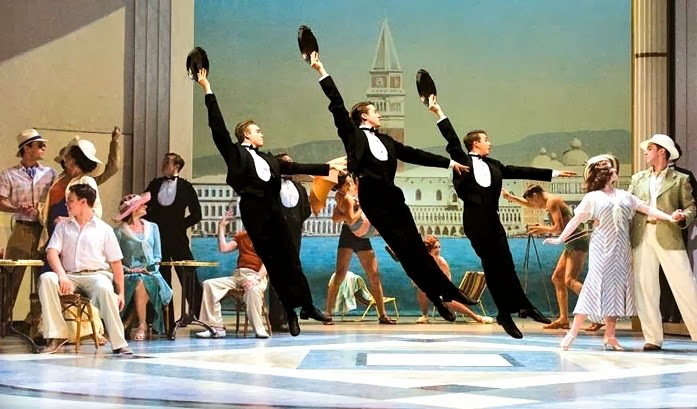 ), the stage production pulled out all the stops to re-create the magical, impossibly luxurious Art Deco world of those uplifting RKO musicals of the Golden Age of Hollywood. The sets were beautiful, the costumes sumptuous and the choreography as close to the Hermes Pan original as humanly possible. Of course, as is to be expected of the "screwball comedies" of that era, the plot was as flimsy as can be - boy meets girl; mistaken identity means boy loses girl; boy's buffoonish sidekick (Clive Hayward as the bumbling "Horace Hardwick"), his battleaxe wife (the excellent Vivien Parry as "Madge", one of the show's best characters), the "comedy Italian" ("Alberto Beddini", played with gusto by Russell Leighton Dixon) and the wily butler (the dry-as-dust Stephen Boswell as "Bates") provide a humorous foil to the story; and all ends happily ever after. The jokes were totally corny (although some one-liners were hilariously delivered) and no-one could ever expect anything as complicated as "character development". But who the hell needs those when what you want is to be swept away in the glittering visual spectacle of it all? Our leads Gavin Lee (as "Jerry Travers") and Broadway's own Kristen Beth Williams (as "Dale Tremont") were positively faultless as they swept and swooshed and tapped their way through some of the best dance numbers of all time - the songbook of the maestro Irving Berlin. All the great man's classics were here - Dancing Cheek to Cheek, Let's Face The Music And Dance, Isn't This a Lovely Day (to be Caught in the Rain)?, I'm Putting All My Eggs in One Basket and of course Top Hat, White Tie and Tails - and each was executed with a breathtaking show of dance genius. The comic numbers (Dale's "vamp number" Wild About You, Horace and Madge's bitchy and bittersweet Outside Of That, I Love You and Beddini's Latins Know How being singular highlights) provided a fab contrast to the glitter, and the ensemble pieces (The Piccolino, the Venice ball and the hotel lobby scenes in particular) simply filled the stage with chiffon, exquisite tailoring and tight boys' buns. We like that. 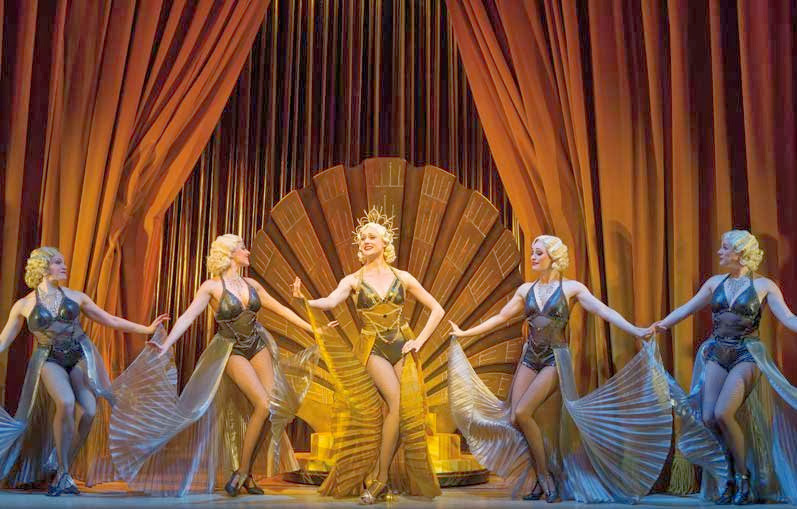 One of the most spectacular musicals we've seen in ages, Top Hat was simply marvellous! 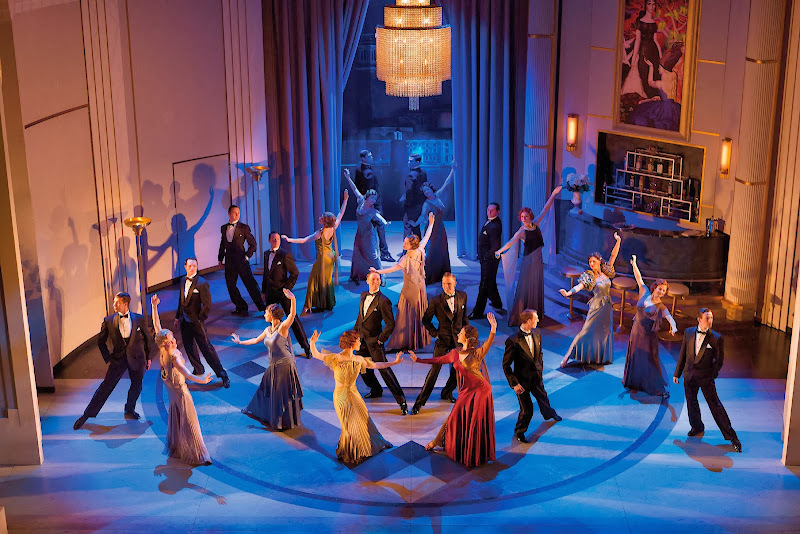 This show won three Laurence Olivier awards including Best New Musical, and the Evening Standard "Best Night Out" award. I cannot understand why on earth it has decided to close early, but yet again, maybe the typical West End audience is more interested in "jukebox musical" pop fluff and "star vehicles" than classy Hollywood glamour. 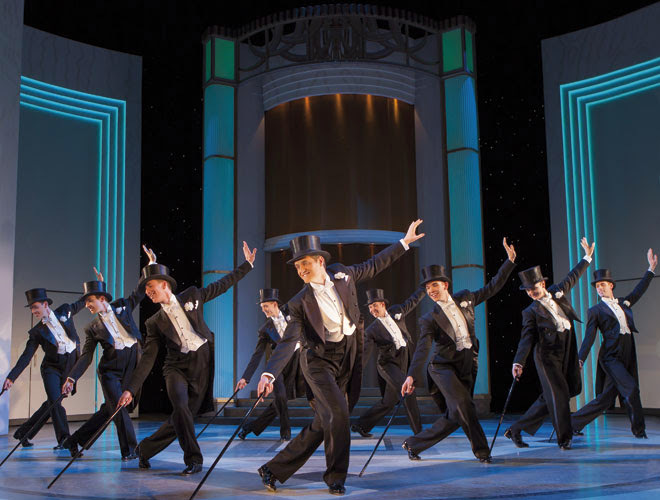 Top Hat closes in the Aldwych Theatre in the West End tomorrow (26th October 2013), but will embark on a nationwide tour thereafter. Autumn is unleashing one of the nastiest mornings we've had for a long time - but it is almost the weekend, regardless. And we know what that means - it's time to party! 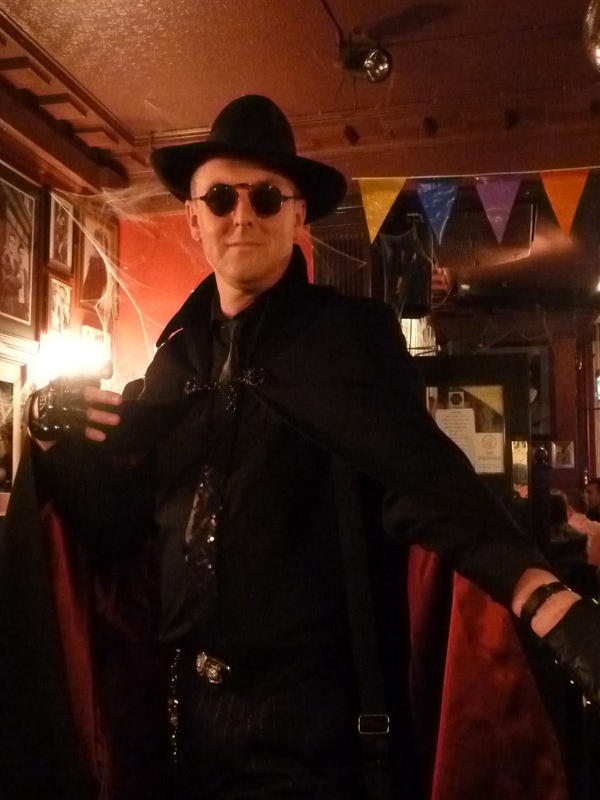 Indeed, we do have a glittering Goth-themed party tomorrow to look forward to (our friend John-John's birthday celebration). So let's get our boogie shoes on, and sing along with his favourite Swedes, Abba - and the anthem of most queens "out there" Gimme! Gimme! Gimme! 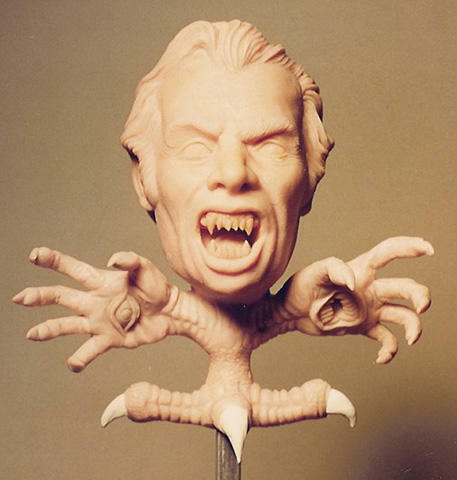 (A Man After Midnight). 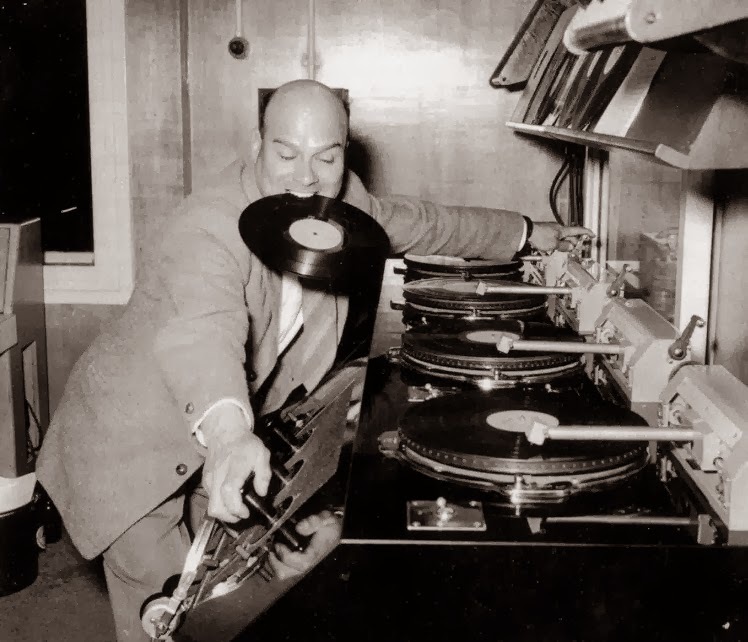 Thank Disco It's Friday! Can it really be 28 years since our birthday girl Miss Carolien de Windt and her sassy compatriots in Mai Tai (who even knew they were Dutch?) had a Top Ten hit in the UK with this song? Archetypally 80s, it most definitely is History! 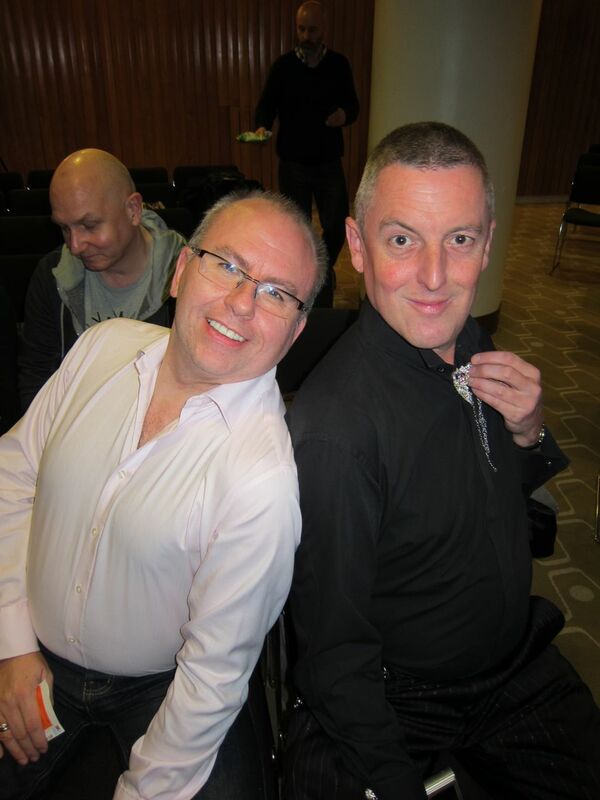 Hallowe'en may be still a week away, but skull jewellery, vampire chic and jet-black outfits were de rigeur at "London's peerless gay literary salon" Polari last night. 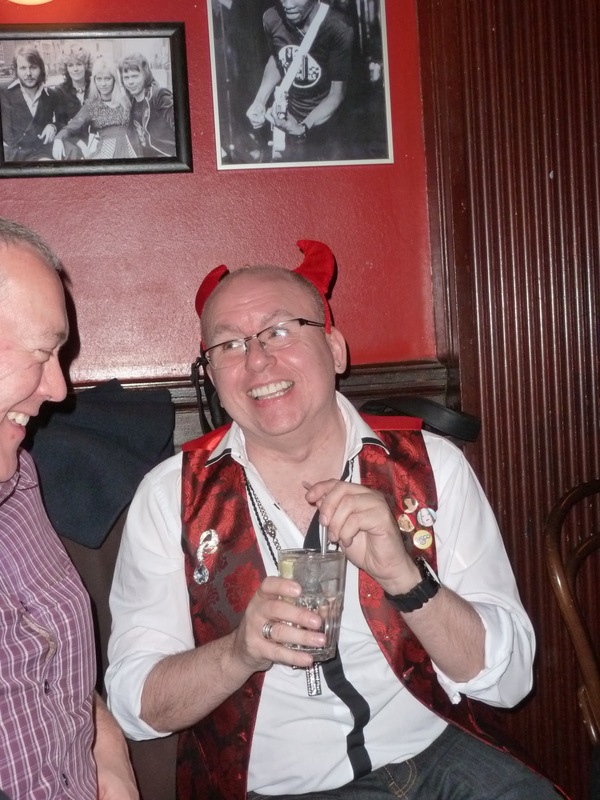 Ebullient hostess-with-the-mostest Paul Burston had borrowed some vampire fangs for the occasion (but soon ditched them when he realised he couldn't actually speak! ), and without further ado, introduced us to our readers for the evening. 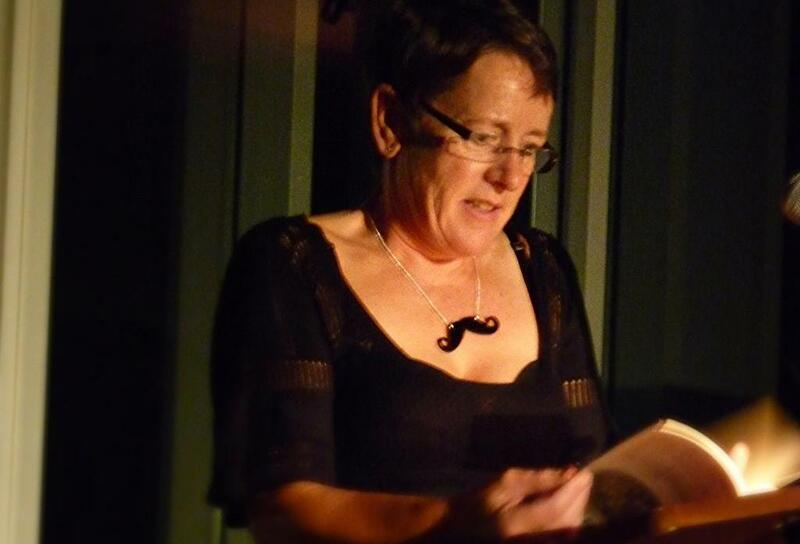 Opening the show was the first of three newbies, Lyn Guest de Swarte, a spiritualist minister by day and author of steamy lesbian literature by night. She read for us not - as we might have thought, given the theme - anything related to spirits, ghosts or ghoulies, but rather the tale of the complicated relationship between two "working girls" who also happened to be lesbians, and the (hilarious) moment when the "femme" one decides to wear her new baby-doll nightie - to the club! A fun start indeed. I want some action so I move myself down to the corner house, see if I can't catch up with BB. I need some halfway decent conversation after my day. I enjoy the benefits that Joe Lyons has brought to the West End. The Coventry Street Corner House is startling in the way it fits in and complements deviant life. It is a centre for mysteries and petty criminals. All classes and sexes trawl here from time to time. Ponces home in on likely fodder, old lecherous men after young boys and young boys from the "Meat Rack" in Piccadilly in search of rich men. Prostitutes are officially barred, but who knows what a girl is doing with her bits? 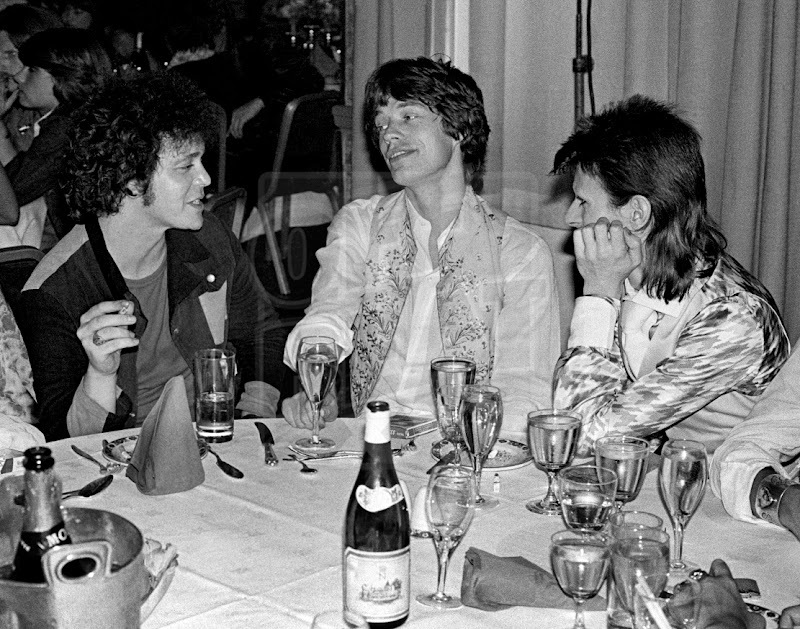 Gamblers will drop in on their way home and bevvy merchants take a breather between the club and the next watering hole in Covent Garden or Spitalfields. There is never a time when you can't drink in London, but it requires a bit of ingenuity. The Corner House is a coffee shop in the morning, a Palm Court in the afternoon, restaurant in the evening and then an all night café of a superior kind. People gird their loins, ready for the next alcoholic foray or for the next bit of villainy. It is buzzing as usual. A few hyenas and jackals lurk, with larceny in their hearts and cups of tea in their hands. They give a nice frisson of excitement to the atmosphere. I now most of them at least by sight and nod a greeting, give out a mutter from the side of my mouth, an affinity of the bent. Now and then a copper will come in but he sticks out like a sore thumb. Grasses, however, abound. I see Billy straight away. I watch him for a few moments. He is also called BB. A Bengal Lancer of style and one to be watched. He is thin, wiry, yet not skinny; his face is in motion all the time. Eyes watching out for angles and boys, mouth ready to spurt scalding sarcasm and sharp wit, chin set hard against the world. One tough little fucker. I like his smartness, his sexiness, his style. We two reckon we're a cut above the rest. We're right, too. Utterly brilliant - and a perfect evocation of a lost underworld in 50s London. I have spent my whole life living near the coast of Bosaaso, Somalia. I don’t know any other land. While the boat beat, those who are hungry for new homes in places like London and Luxembourg, risk their lives on cargo ships, I stand firm on this soil and I tell stories. I tell stories to my daughters about kings and warrior queens, freedom-fighters and poets. I tell these stories to remind my children and myself that Somalia is fertile with history and myth. And the only seed that needs watering is our imagination. He reads (and writes) beautifully. After a break for a fag and a trip to the bar, it was time for another newcomer to take the stand. From her blurb: "Robyn Vinten grew up in New Zealand. She came to London in the mid 80s and forgot to leave. 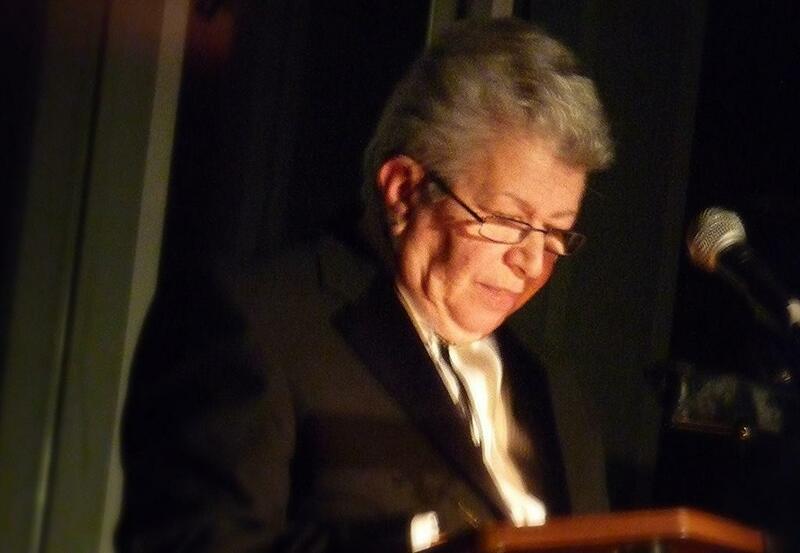 She has had a number of short stories published over the years. Bruceville is her third novel, but the first under her real name." Hers was a triptych of back-stories that revolved around one rather nasty homophobic incident in the young lives of the novel's protagonists; one that, judging by all the interwoven and carefully-drawn personalities to which she introduced us, was likely to affect the rest of their lives. Intensely intriguing; we were gripped! Trust our headliner, the fantabulosa Jonathan Harvey to provide the appropriate level of light relief. In his own inimitable Scouser way, the genius behind such faves as Beautiful Thing, Gimme Gimme Gimme and Beautiful People read an uproarious extract from his second book [his first, All She Wants, being such a triumph when we saw him in September last year] The Confusion of Karen Carpenter. Focusing on the meandering insecurities of our heroine - forever cursed with an embarrassing name identical to a famous individual - he drew us once again into a soap-operatic scenario whereby the eponymous Karen has her humdrum life catapulted into a turmoil of emotion by the breakdown of a relationship. And it was absolutely brilliant! I can't wait to read it (if book #1 was anything to go by, this should have me hooting on the bus again). Having gathered the readers once more to the stage for the customary ovation, that was that. I (and Paul and John-John and little Tony) had Mr Harvey kindly sign a copy of his opus, and we bade our farewells to the multifarious crowd that included the lovely Eve Ferret (whose forthcoming shows Ferret Up The Arts we are planning to see at Soho's Arts Theatre next month), the impressively uplifted) Lauren Henderson (aka Rebecca Chance), DJ Connell, William Parker, Helen Sandler, VG (Val) Lee), Bryanne McIntosh-Melville, Simon Reeves, Jayne Rogers, Anny Knight et al, and meandered off into the unseasonably warm wet night for further refreshment at Halfway to Heaven. 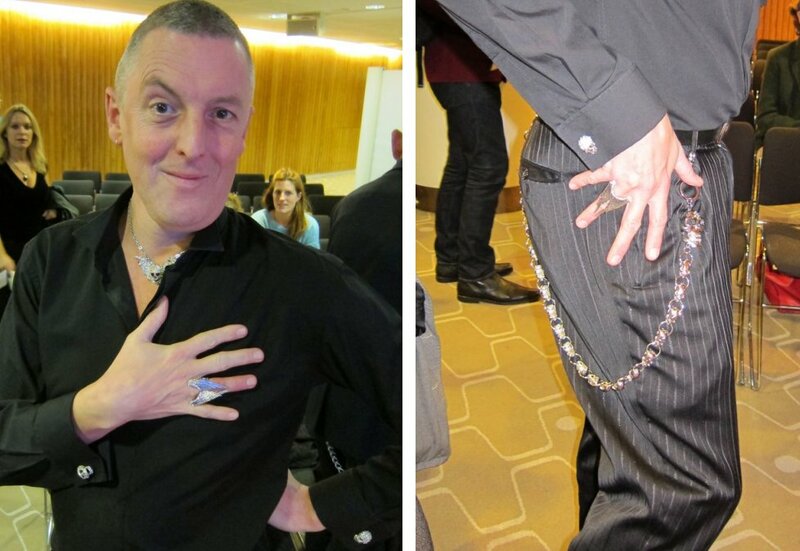 Roll on November's gala - the sixth anniversary of Polari and the announcement of the winner of the Polari First Book Prize 2013 - in the prestigious Purcell Room at the Southbank Centre, featuring award-winning author Charlotte Mendelson, poet Dean Atta, authors Rosie Garland and Patrick Flanery, special guest Helen Lederer (yay!) 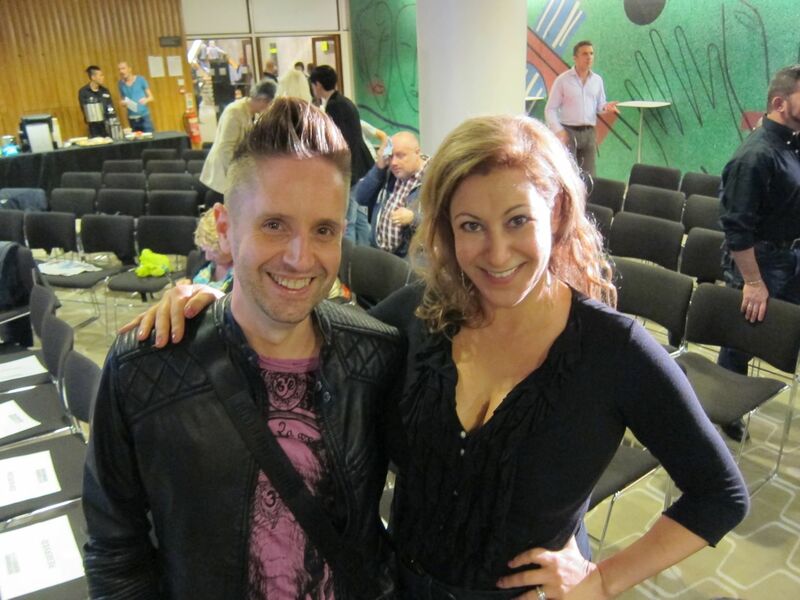 and singer Dee Chanelle. "I am not ashamed of anything I've done. I would hate to be ashamed of anything. I would hate to look back on my life and say, 'Oh, if I only had it over again, I would be different, and I would do this differently'." 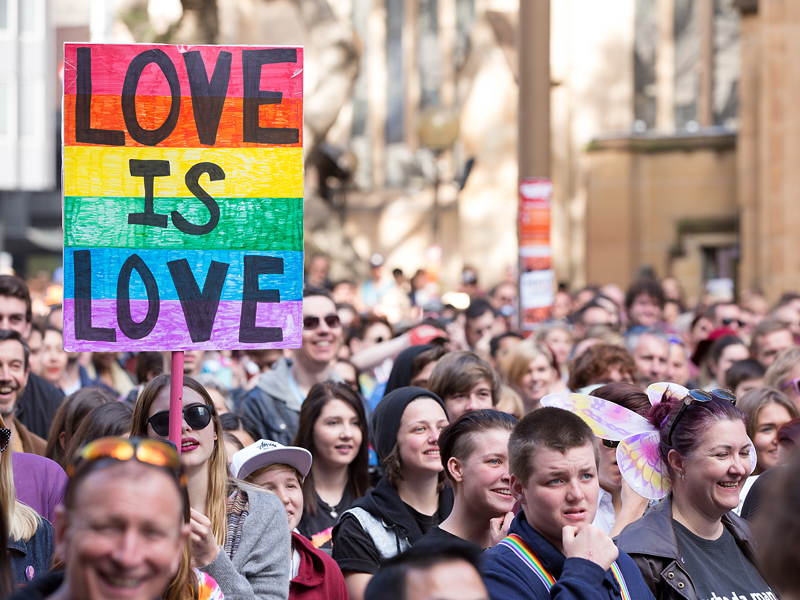 Equal marriage is one step further to becoming a federal law - despite the opposition of their Jesuit PM Tony Abbott - in Australia, as their capital Canberra has just voted to hold official weddings for gays and lesbians. Time for an appropriate celebration - with Our Princess Kylie and her Dancing Queens! That wet weekend just flew by - and here we are again in the dark, trying desperately to get enough coffee inside us to get going on that tedious journey to work. Hey, ho. 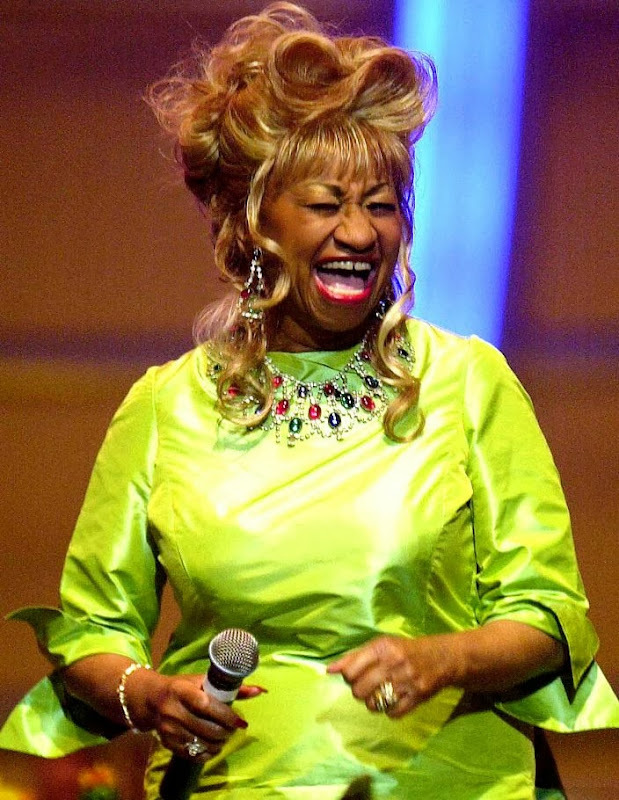 Who better to lift us out of the gloom on this Tacky Music Monday but the eternally upbeat (and we at Dolores Delargo Towers still mourn her, a decade on from her death) Señorita Celia Cruz? Let us begin with something truly trashy. Richard Simmons is "an American fitness personality and actor who promotes weight-loss programs, prominently through his Sweatin' to the Oldies line of aerobics videos and is known for his eccentric, outgoing and frequently flamboyant personality". Apparently. Here's his new single Hair Do - make of it what you will! Another new release from those peerless pop gods Pet Shop Boys has arrived, this time featuring a guest rap (unfortunately) from clubbers' fave of two years ago Example. Neil wants us to come around and stay for the weekend, and who are we to say no? Storming into the Russian fascist "anti-gay backlash" battle with all guns blazing in defence of the gayers, the lovely girls from Xelle have created a catchy, angry stomper of a gay rights anthem that should be heard all the way to the Kremlin! And finally (because we have to end somewhere! ), thanks again to the fine folks who inhabit Barbarella's Galaxy, it's the oddest video of them all - Breach and their/his incredibly contagious Jack! Another notable birthday today is the sadly-missed Harris Glenn Milstead, better known (of course) as the irrepressible Divine! You got what I need, shoot your shot. Come on make it real, shoot your shot. Don't stop, shoot your shot. It's for you to make, shoot your shot. You really got a lot, shoot your shot. Don't stop, shoot your shot! 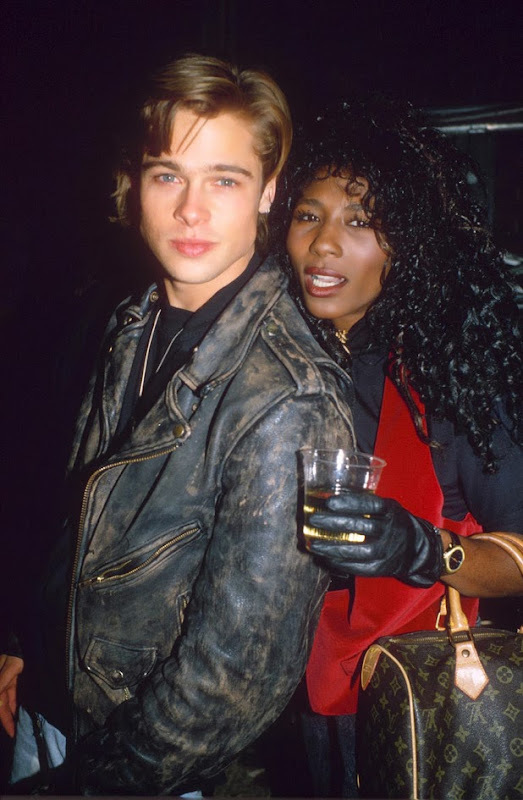 It's another "fabulous at fifty" birthday today - Miss Sinitta Renay Malone! 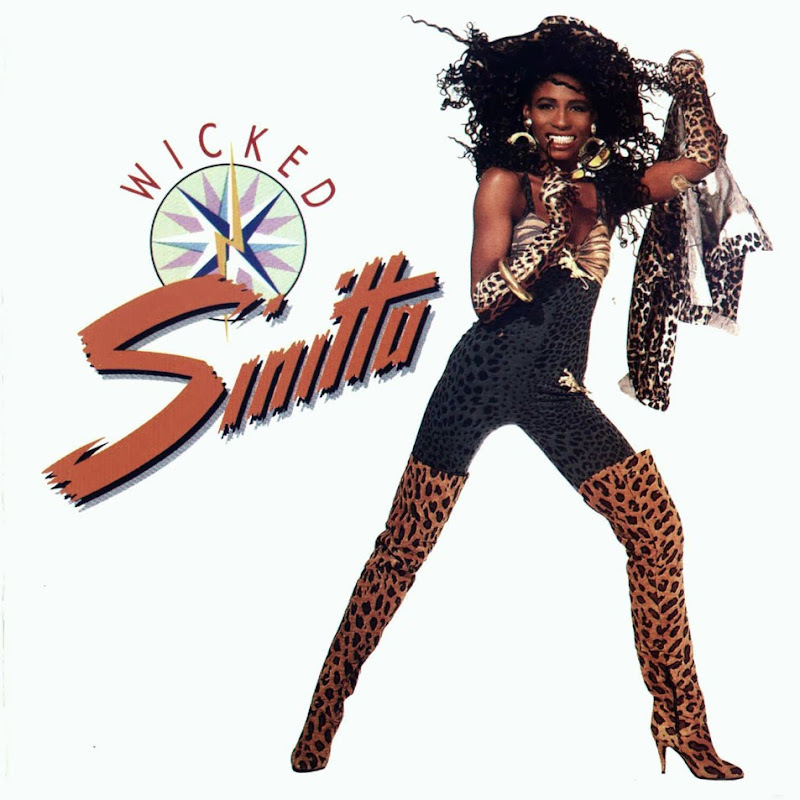 Despite being famous for only a few camp Hi-NRG hits three decades ago, her on-off relationship with the mega-powerful TV mogul Simon Cowell has assured that Amii Stewart's favourite niece has remained in the spotlight for decades since (even if that "relationship" is yet again suffering the indignities of tabloid frenzy of late). Good luck to her - she gave us all a fab few moments in the 80s. I can smell the poppers even as I play this - it's the pop-trash-tastic Toy Boy! Our internet is up, then down, then up, then down. Last time we lost web access, it lasted three days. I was distraught. However, who really cares as long as we have a weekend to look forward to? Let's really push the boat out today, with possibly the classiest of classy (ha ha) numbers to get our parties started! The bloody internet is down - again! 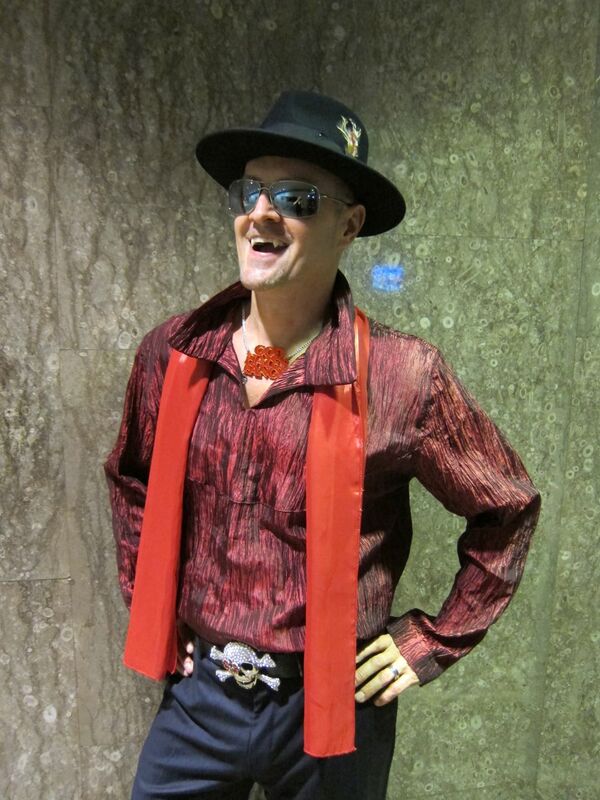 - at Dolores Delargo Towers, so once more I have to sneak in a bit of blogging while in work. Oo-er. Hopefully the engineer, when he comes tomorrow, will fix this bloody thing once and for all. 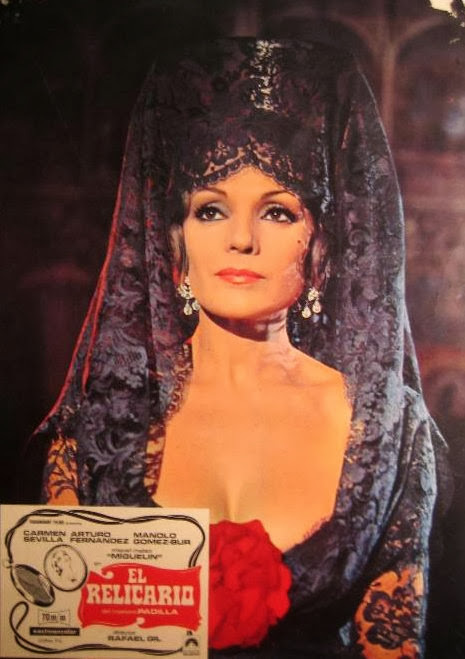 Sharing a birthday with our magnificent Patron Saint Angela Lansbury (who is today's latest "exhibit" in the Dolores Delargo Towers Museum of Camp) is the no less notable Spanish gran dama Carmen Sevilla, whose career also spans six decades. "I don't think about my age and I don't care about anyone else's. "It's about doing what you do well and about learning and progressing. I'm still learning. I don't ever think I know how to do this." Nevertheless, to still be at the top of your game at the time of life when many people would prefer settling into a comfy armchair with a cup of tea and a copy of the People's Friend is a remarkable feat, indeed. 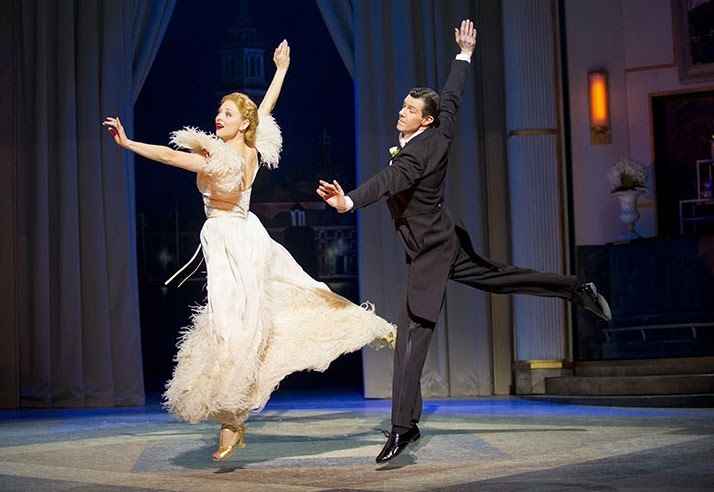 And so it was as Madame Arcati, John-John and I (almost killing ourselves scaling the stairs to the Upper Circle) settled breathlessly into our seats in the packed Theatre Royal Drury Lane for the penultimate date on her month-long UK tour. We sat, transfixed, as the great lady (accompanied by a small but accomplished band of fine musicians) glittered her way to the centre of that vast grandiose auditorium, and filled the whole place with the beauty and power of her voice. She certainly has lost little of her vocal dexterity, and admirably still has the stamina to tackle a wide-ranging selection of (often musically complex) numbers from her seven-decade career in a full two-hour show. Everything we love Our Pet for was here, and more. 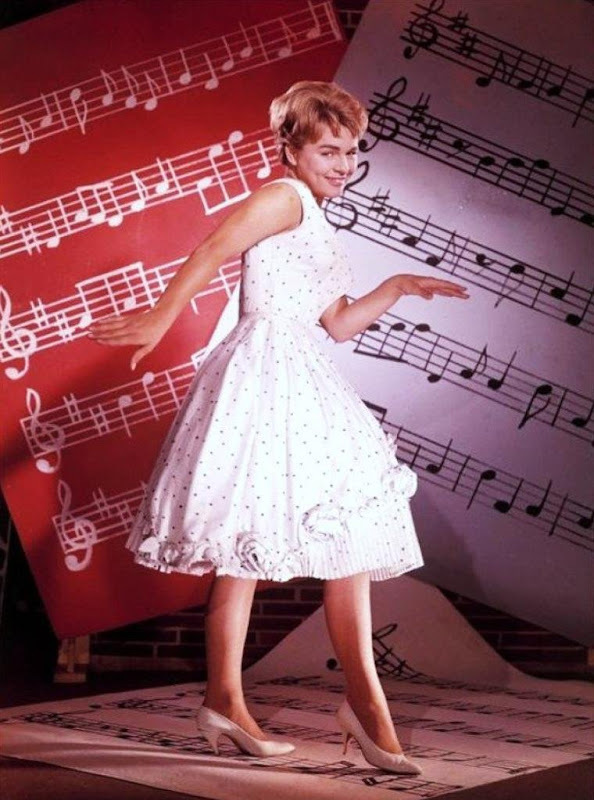 From her early pop hits (Sailor, I Know a Place), through the Tony Hatch Songbook (I Couldn't Live Without Your Love, Colour My World, The Other Man's Grass Is Always Greener, Don't Sleep in the Subway) and her ballad from Finnigan's Rainbow (How Are Things in Glockamora?) right up to her newest material including covers of Gnarls Barkley's Crazy, Elvis's Love Me Tender and her mate John Lennon's Imagine, we couldn't fault her. In between songs, she gave us some snippets of fascinating gossip such as the time when the young Pet and none other than Karen Carpenter found themselves in Elvis Presley's dressing-room, but apparently she made excuses and the two girls left before "Old Snakehips" could have his wicked way; and her odd experience of working with Fred Astaire and Francis Ford Coppola together in the height of the hippy trippy 60s. 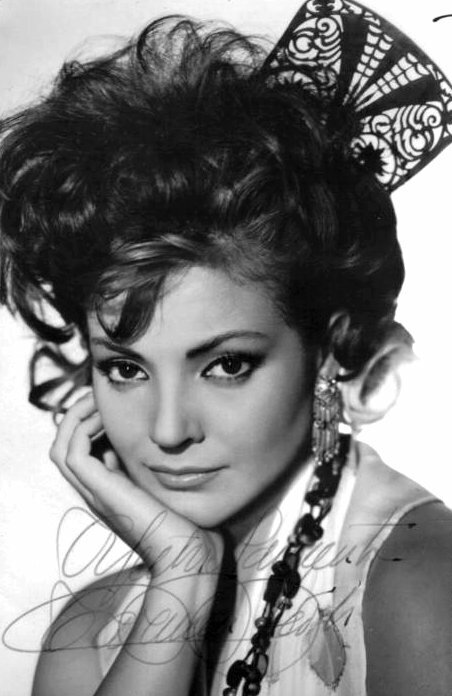 But throughout all these showbiz moments (she was entertaining the troops on Forces Radio at the age of eight, and she was there for Lennon and Ono's "bed-in for peace" and sang on Give Peace A Chance), it is the music that really makes her stand out. She is not for nothing one of the best selling British female artists in recording history, selling over 68 million records worldwide. 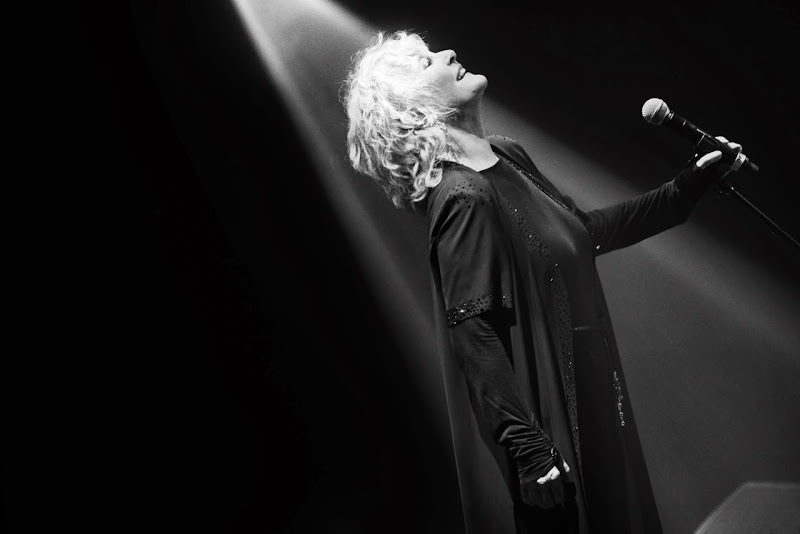 In a year of seeing long-revered icons make major comebacks (Bowie) or appear on stage (Marianne Faithfull, Bryan Ferry), this particular Evening With Petula Clark made us really sit up and take notice - an evening we will certainly cherish for a long time! 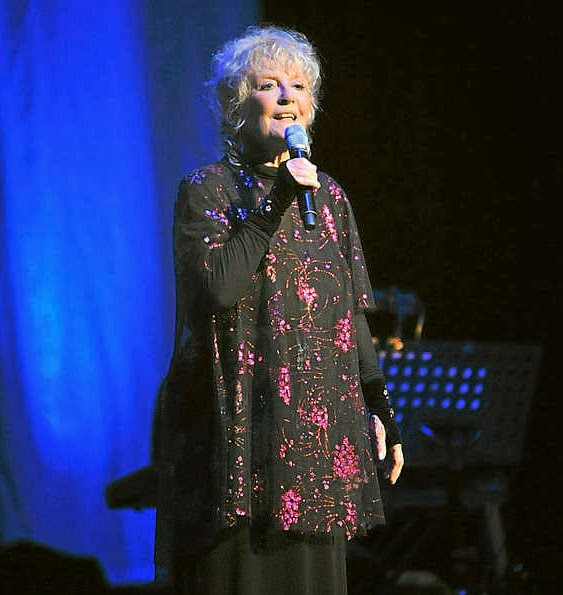 We went to see the lovely Petula Clark in concert yesterday, and she was one of the most fabulous 80-year-olds I have ever seen light up a stage! Before I go any further (a full review may be later) - on this Tacky Music Monday, I have found a rather wonderful clip of the lady herself, together with multi-coloured and multi-fringed safety gays to entertain us as we slink through the wet miserableness to work. Her take on Come Together is quite something! Altogether, three hundred and sixty years! Didn't look too good in shorts?